The Transfagarașan or DN7C is a paved mountain road crossing the southern section of the Carpathian Mountains of Romania. 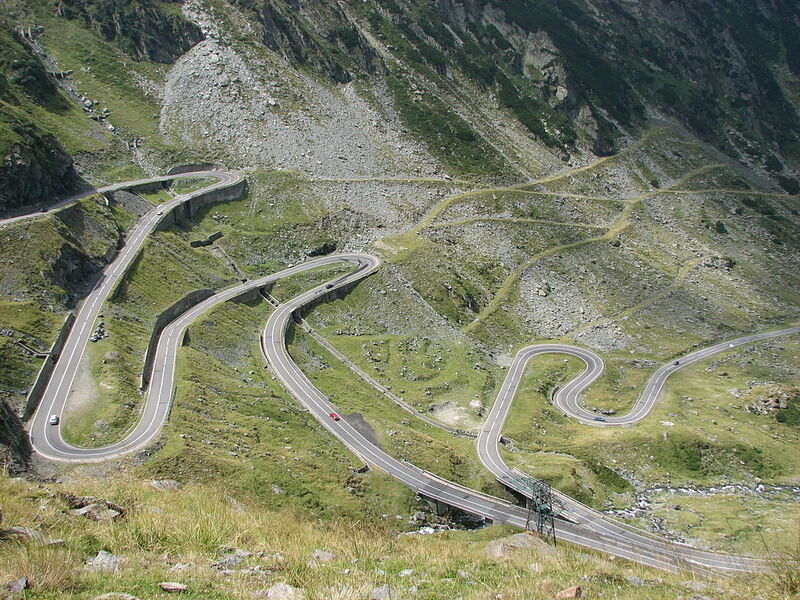 It is the second-highest paved road in the country after the Transalpina. It starts close to Pitești, and stretches 90 kilometres between the highest peaks in the country, Moldoveanu and Negoiu. The road, built in the early 1970s as a strategic military route, connects the historic regions of Transylvania and Wallachia.